Older women and men are at a higher risk of developing blood clots, which can lead to deep vein thrombosis, heart attacks, or the need for The Grand Strand post-stroke care. According to healthcare providers, caregivers can recommend the following to seniors to reduce their risk of blood clot formation. 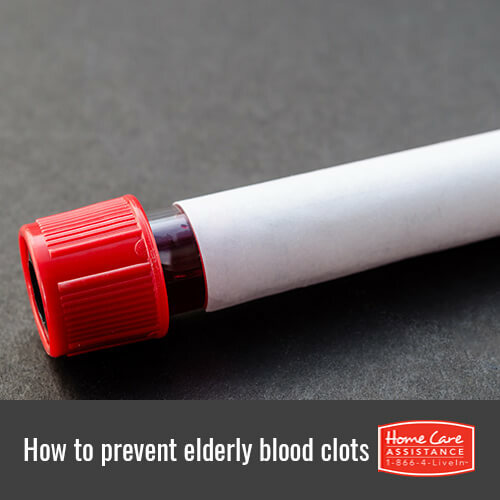 Seniors that remain in the same position for extended periods of time may have blood pool in their legs, which could lead to blood clots. Walking or stretching every one to two hours could prevent a blood clot from forming. If your senior loved one has mobility issues because of a medical condition, he or she can have a home caregiver in The Grand Strand help perform low-impact exercises to get blood flowing. Seniors should stop smoking and maintain a healthy weight to reduce their likelihood of developing blood clots. If your senior loved one is bedridden because of surgery or an injury, have a loved one or caregiver get his or her legs moving. Seniors should also drink plenty of water and stay hydrated and reduce their chances of getting blood clots. Have your senior loved one elevate his or her legs throughout the day. He or she can do it while during a nap or while watching TV. Seniors need to elevate their legs from their feet, not their knees. Make sure your loved one doesn’t prop a pillow under his or her knees to elevate the legs. Instead, have your loved one raise his or her feet approximately six inches above the heart and avoid crossing the legs. Compression stockings will provide support to your senior’s muscles and blood vessels in the lower legs. They’ll also help reduce swelling and the risk of blood clots. These socks are especially important for seniors who have varicose veins or leaking vein valves. The compression stockings you choose for your senior should reach his or her knee or higher. 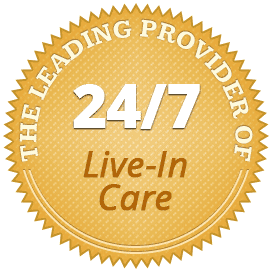 Further your loved one’s physical and emotional wellbeing with help from Home Care Assistance. As a leading provider of The Grand Strand senior home care, we help seniors boost physical, mental, and emotional wellbeing in the comfort of home. Whether your loved one is sick, recovering from injury, or could use a little help around the house, our highly trained caregivers are always available to assist your loved one. Set up a free consultation when you contact a trusted Care Manager at (843) 353-3105 today. Alzheimer’s Research: Can It Be Diagnosed with a Blood Test?